Visitors to Portland’s Osprey leisure centre will be able to enjoy the community space and stay warm this winter, thanks to a cash boost from local Freemasons. A donation of £500 from the Portland-based Freemason Naval and Military Mark Lodge 634 was awarded to the centre to help pay for new automatic doors. 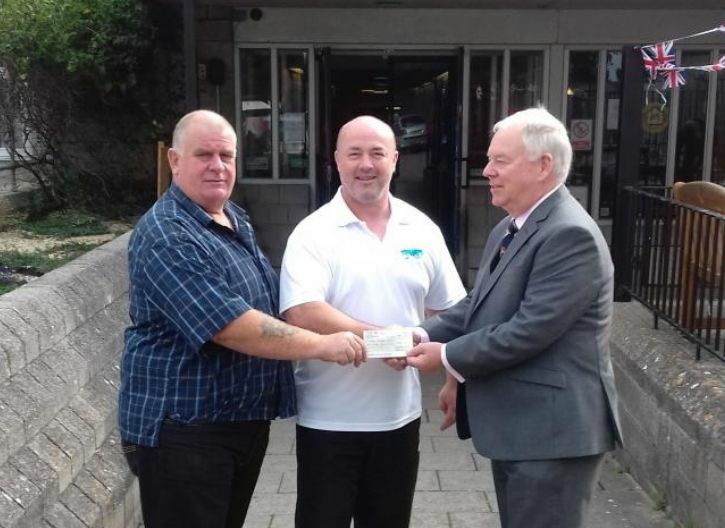 The cheque was awarded to the leisure centre’s general manager, John Jennison, by lodge charity steward, Tony Smallman along with the provincial charity steward Richard Paisley.